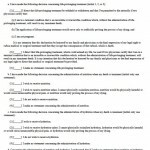 North Dakota power of attorney can be used for everyday use or as an insurance if you might face a serious health issue out of nowhere that prevents you from attending to your business. In that case, no one would be able to manage your financial affairs without a power of attorney. A power of attorney is a legal device by which you can give another person (called an agent) authority to act for you regarding property, financial, and healthcare matters. The person who grants authority in this arrangement is called the principal. If you have not created a power of attorney, your loved ones will have to petition a court to appoint a guardian for you, which can be a costly, time-consuming process that complicates an emotional period for your loved ones. 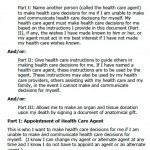 To create a power of attorney, you need to complete the requisite form in which you decide who your agent will be and which powers to grant him or her. 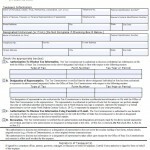 In North Dakota, you must have two witnesses or a notary sign the form, and the agent must sign the document as well. 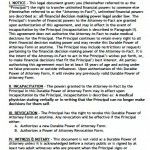 Read all North Dakota Power of Attorney Laws.